You wouldn’t know it from the films or the television shows, but the Lone Ranger was a Black man by the name of Bass Reeves. Born into slavery in Crawford County, Arkansas in 1838, Bass won his freedom during the Civil War by beating up Colonel George R. Reeves, a member of the slaveholding family. Bass fled north, living among the Cherokee, Seminole, and Creek Indians until 1865. His knowledge of Native languages made him highly desirable to the U.S. marshals who were expanding west, and in 1875, Reeves became the first Black deputy U.S Marshal west of the Mississippi. Over a period of 32 years, Reeves nabbed 3,000 felons, and is said to have killed 14 outlaws in self-defense. By the time he died at 71 in 1910, Reeves was a legend — though his legacy was whitewashed and stolen. Reeves is one of countless great Americans whose contributions have been rewritten, revised, or erased to fed the voracious appetite of those who craft self-aggrandizing tales to cover up their darkest sins. Yet, the beauty of history is that the truth will always out, and those who have inherited the great traditions of the past continue to practice and elevate the culture to this very day. 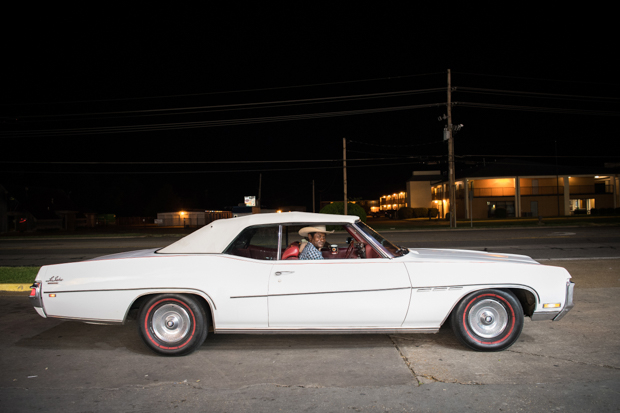 Hailing from Maine, photographer Rory Doyle headed South and set up shop, working as a freelance editorial and commercial photographer in Cleveland, Mississippi, the heart of the Mississippi Delta. 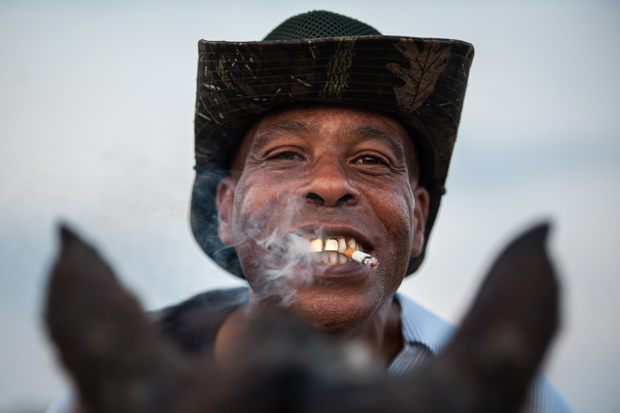 Here he began a series of work titled Delta Hill Riders, a portrait of Black cowboys today. Here, Doyle shares his experiences creating these photographs, portraits of a way of life whose history is still being told. Can you speak about what lead you to go South? “I was raised in the woods of rural Southern Maine, and I think growing up exploring this wilderness sparked my love for storytelling and a sense of adventure. My wife and I moved to the Mississippi Delta to pursue my master’s degree, and we knew next to nothing about Mississippi before we arrived. “It didn’t take long for us to fall in love with this extremely unique pocket of America. 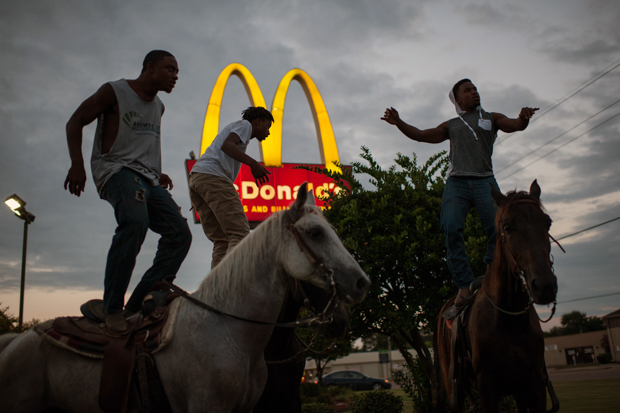 Mississippi, and especially the Delta, has a history riddled with complexities. Despite that, there’s a realness to the people here that I haven’t experienced in other places. Could you describe the spirit of this part of the country, and what it represents in being the essence of the Deep South? “Things have come a long way in Mississippi. That’s the usual shorthand. Perhaps nowhere else in America has made more progress in its race relations, but then again, nowhere else had so far to go.’ That’s a quote from Richard Grant’s best-selling book, Dispatches From Pluto. 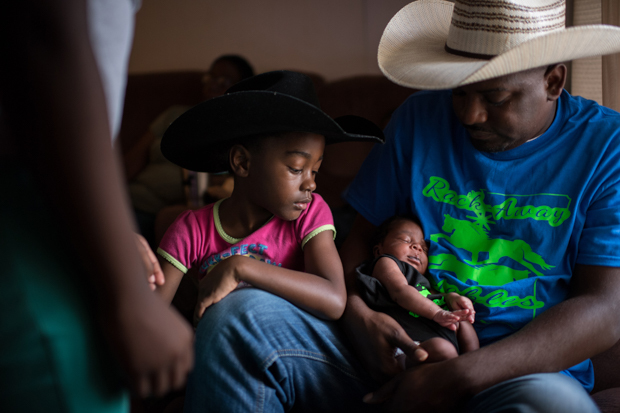 “In many ways, it’s a good summary of the Mississippi Delta. It’s no secret that Mississippi has a reputation for backwards politics, racism, poverty and poor education. On the flipside, there’s a level of diverse interaction in the Delta that you don’t see in most places — in large part because it’s more common to self-segregate. I never would have had this experience had I stayed in New England. Could you speak about the archetype of the cowboy, and what makes it quintessentially (North, South, Central) American? 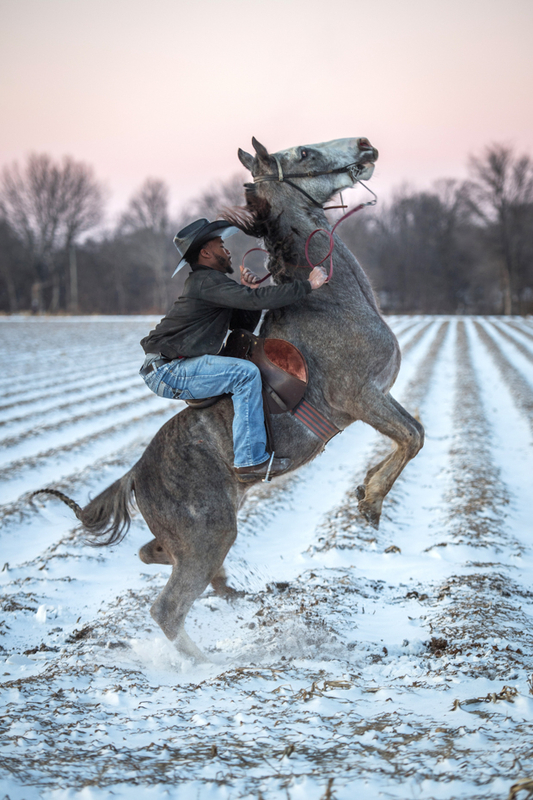 “There’s no doubt that the term cowboy means different things to people around the world. Growing up in America, we have a fairly distinct archetype of a cowboy, one that includes the costume with the hat, chaps, boots and the trusty mustang set in the backdrop of the Wild West. In the U.S., we often romanticize this image through people like John Wayne, a man who was strong, macho and heroic. 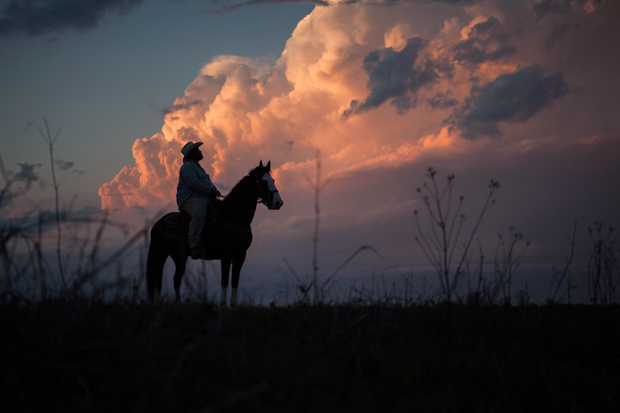 Can you tell us about the Delta Hill Riders and the cowboy roots in the South? 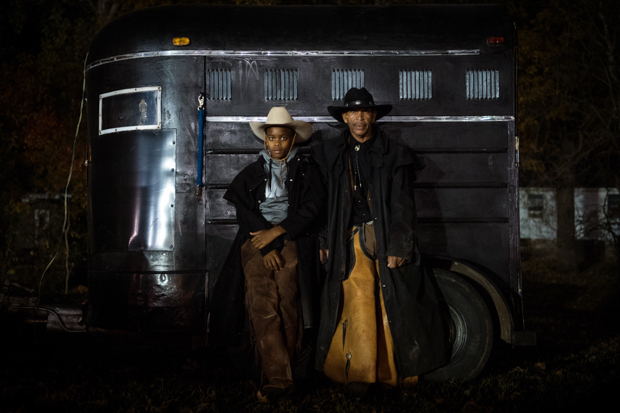 “There have been Black cowboys in the South dating back to the Civil War, the most iconic being the Buffalo Soldiers, the first African-American army units who were unsung heroes made famous by Bob Marley’s song. “Long overlooked, Black riders have been around for generations. 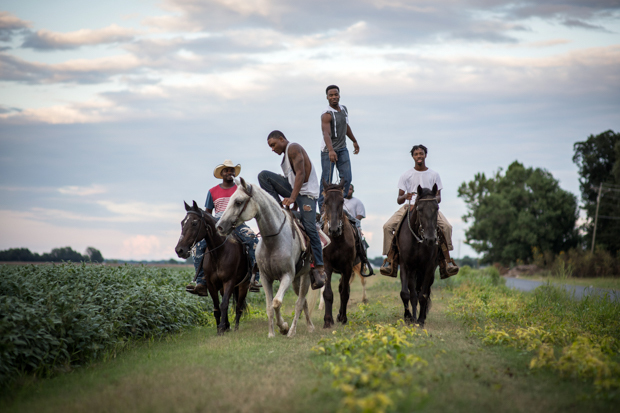 My project is coined ‘Delta Hill Riders,’ which is the name of a local African-American riding club. The elder riders in the group have ties to Delta families that have been riding together for over half a century. These families continue to pass down the traditions to their children and grandchildren. Could you speak about the ways in which the culture is preserved through the community across generations — and how it continues to stay modern? “Unfortunately, I’ve been unable to track down a detailed history of the earliest Black riders in the Delta, as there was minimal documentation at the time. But through oral history accounts, the older Delta cowboys tell me the population of riders used to be much greater. “This is also true of the overall Delta population, which saw a major decrease in population as the mechanization of farming increased. The Smith family in nearby Tallahatchie County has owned their family horse farm for over 50 years. 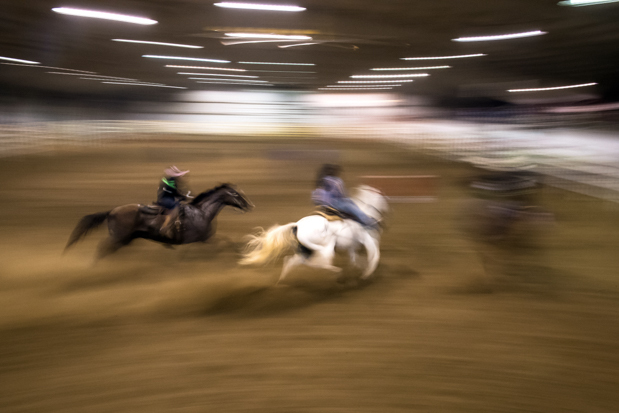 It’s at this farm where many regional cowboys and cowgirls have their first experience riding. Three generations of riders exist in the Smith family, and this is common with other families. Those who are introduced to horse riding consistently pass the culture down to their relatives. What was the most surprising or revealing thing you discovered while working on this project? “The project began in 2017 when I saw a group of African American riders at the end of the annual Christmas parade where I live, Cleveland, Mississippi. Just seeing those cowboys in the parade was sort of an epiphany for me. I had failed at understanding the diverse history of cowboy culture. I never really challenged the mainstream portrayal of white cowboys. Can you speak about the importance of creating visibility for a traditional American phenomenon that has largely been ignored, marginalized, or stolen? “Should I be the one to share this story? That’s an imperative question for all journalists. As a white man, I’ve been conscious of that throughout this project. I never could have expected how embedded in this community I would become when the project began. In most cases, I am treated like family, which is confirmation for me to keep going. I am deeply connected to the people I am photographing, and I think a big part of that is because I live here. These are my neighbors who have fascinating stories to share. “Sadly, there are so many things in American history that have been whitewashed. The cowboy identity is just one example. I think their stories have extra meaning because of how one-sided the cowboy image has been portrayed.